Sprint announced the Photon Q, its first LTE device with a full QWERTY keyboard, back in late July with nary a word on pricing or availability. We've heard rumors here and there about a mid-August release, but The Now Network has finally unveiled an official release date of August 19th, as well as a price of $199 with a two-year agreement. If you want to ensure you'll have the most powerful slider on the market in your hands on 8/19, pre-orders begin today in Sprint stores and on the web. OVERLAND PARK, Kan. & LIBERTYVILLE, Ill. (BUSINESS WIRE), August 13, 2012 - Offering a device packed with features to provide the ideal work-life balance, Sprint (NYSE: S), the only national wireless carrier offering truly unlimited data for all phones while on the Sprint network1, today announced the Sunday, Aug. 19, availability of the first 4G LTE-enabled smartphone from Sprint with a full QWERTY keyboard and international roaming capabilities, Motorola PHOTON™ Q™ 4G LTE. Motorola PHOTON Q will cost $199.99 (excludes taxes) with a new line of service or eligible upgrade and two-year service agreement. Motorola PHOTON Q will be available for pre-order beginning today at www.sprint.com/photonq. Customers who pre-order Motorola PHOTON Q will begin receiving their smartphone as early as two days before the device goes on sale – while supplies last. 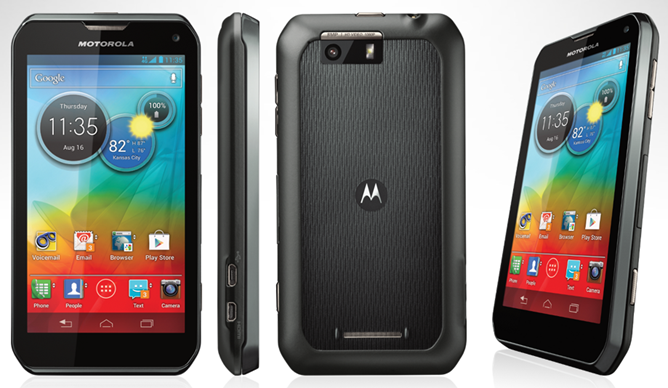 Motorola PHOTON Q features a slide out PC-like QWERTY keyboard for double-thumb efficiency. Each laser-cut key is outlined in LED lights so users can see what they’re doing, even in the dark. It also has a dedicated number row for maximum typing efficiency and accuracy. Combined with a large 4.3-inch ColorBoost™ display, Motorola PHOTON Q offers the largest screen currently available on a 4G LTE smartphone with a full QWERTY keyboard. Its 8-megapiexal rear-facing camera with 1080p capture and playback along with an HD front-facing camera produce a high-quality multimedia experience that provides the perfect blend of business and pleasure with blazing speed on the Sprint 4G LTE network2. 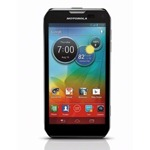 Motorola PHOTON Q customers can enjoy an unlimited data experience with Sprint Everything Data plans. Sprint’s Everything Data plan with Any Mobile, AnytimeSM includes unlimited web, texting and calling to and from any mobile in America while on the Sprint Network, starting at just $79.99 per month for smartphones – a savings of $20 per month versus Verizon’s comparable plan with unlimited talk, text and 2GB web (excludes taxes and surcharges). Customers across the country are beginning to benefit from Network Vision – an all-new network from Sprint, which offers enhanced 3G service – with a stronger wireless signal, faster data speeds, expanded coverage and better in-building performance – and 4G LTE, with faster data speeds for data applications. Samsung Galaxy Tab 10.1 Wi-Fi (GT-P7510) Ice Cream Sandwich Update Rolling Out In The U.S.